PK recently released movie is talk of the town today. This is because of fictitious character PK. This character is played by Aamir Khan. Let’s Imagine instead of talking about God if PK talks about Indian Tax system and Black money. I am sure it will be fun to see PK in new avatar. Here is fictitious story of PK explaining about Corruption, Black money and Taxes in India. Assume Aamir Khan is playing role of PK, who is coming from another planet as alien. Incidentally Alien PK landed in India & he lost his purse containing remote control for contacting Udan Tashtari (flying device of Aliens). PK was searching for purse while someone told him to approach to police station. He went to police station where policemen asked him to pay bribe to find his purse. Bribe was new word to PK. He asked policeman what is bribe? Policeman explained him bribe is extra money paid for getting work done. PK told policeman “Hamare planet par to koi esa bribe vribe nahi leta. Sab kam aram se hota hai without bribe” Police Inspector told him “Yaha India me to sab kam ke liye extra paisa (bribe) lagta hi hai.” You need to pay bribe starting from getting birth certificate to passport to Aaddhar card. PK got disappointed and he left police station. He decided to stay back in India. Firstly he needs to find one good job for survival. Fortunately he was able to find job in private firm. His next challenge was to open bank account as he was told that he need PAN card and address proof for getting bank account. PK enquires about PAN card from various sources and he got amazed by knowing actual situation of India. In India only 3.5 Crore people pay income tax from population of 140 crores. Many people take PAN card just for fun. PK reacted on India’s tax situation “Yaha India me pata nahi kon tax bhar raha hai aur kaun tax chori kar raha hai. Hamare yaha to esa nahi hota. Yaha to government tax badhati hi rehati hai aur Tax chori bhi badhti hi rahti hai. 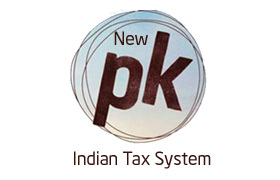 With curiosity PK inquired further about other taxing structure and type of taxes in India. PK first reaction after hearing about taxes was India is country of Tax. For every task Indian need to pay tax. PK visits Income tax office and understand working style of Income tax. He got amazed by knowing following provisions. After few years PK decided to purchase new house. He approaches builder to know price of new house. Builder told him price and ask him to pay 40% black money. PK was wondering what is Black Money. He asked builder “Paisa black color kar ke chahiye kya, builder abused him by saying PK aaya hai kya”. At later stage PK inquired about black money & he got information that black money refers to money illegally obtained or not declared for tax purposes. In India it is estimated that black economy is in between $500 billion to $1.4 trillion. PK thinks -“Sasura tax chori ka paisa, waise bhi india me to bhot tax chori ka paisa hai to black money bhi hoga magar main common man tax chori ka kaala paisa kaise laauga”. PK finally decided not to purchase house. After living for few years PK got fed up looking at Indian economy, poverty, inequality, corruption and black money. PK finally decided to go back to his planet. PK has gone to his planet but all these problems corruption, poverty, black money, tax problems are reality of India. Hope with starting of New Year 2015 we will get some relief.